An opportunity to study abroad can pave way for lots of new experiences and adventure. You'll also make new friends with whom you'll hang out often. Studying abroad not only helps to carve a better future for yourself, but also makes you independent and responsible. Staying thousands of miles away from home definitely has a few downsides, it sometimes makes you feel homesick and there is nothing much you can do about it. So you've got to cheer yourself up by doing things that makes you happy, like eating good food. If your love for pastas and pizzas are genuine, Italy is the place for you to go. Apart from studying at top Italian universities like University of Bologna and University of Trento, that offer world class education, you'll get a chance to taste different varieties of pasta like Penne, Maccheroni, Spaghetti, Linguine, Fusili and Lasagna tossed with freshly prepared sauces and cheese. You can also treat yourself with some of the best oven-baked pizzas in the world garnished with exotic toppings. For desserts, try out Tiramisu and Panna Cotta and end your meal with a glass of wine. The staple food in Indonesia includes rice and seafood, which is why most of their dishes have these 2 ingredients in it. The food is not only flavorsome but also very nutritious. No meal is complete without a side of Sambal or Soto,a main-course of Nasi Goreng, the national dish of Indonesia along with Satay, Ayam Goreng, Bakpao and Siomay. Indonesian Universities like University of Indonesia and University of Technology Bandung, attract a large number of students globally every year. If you enroll yourself to any of the colleges in Indonesia, make sure to taste their lovely food. Every year, thousands of international students come to Japan to pursue higher education in universities like University of Tokya and Kansai University. When it comes to Japanese food, it doesn't end with Ramen and Sushi, in fact, they have a variety of lip-smacking dishes to offer like Tempura, Miso Soup, Okonomiyaki, Yakitori and Udon. Japan is also famous for their green tea and they consume it with Japanese sweets! France is not only a great place to travel to but also to eat classic French food which is loved by a lot of people across the globe due to their freshly baked products like Croissant and Pâtissier or pastries. Apart from this, French cuisine offers the perfect blend of herbs, dairy products, fruits and vegetables. Some top French dishes that you can't afford to miss are Custard Tarts, Crêpes, Mousse, Duck Confit and Macarons. France is literally a heaven for travelers and students alike. Some great universities situated here are INSEAD and Pierre and Marie Curie University. Brazil is a meat lover's heaven as you can find most of the dishes are prepared with all kinds of meat from pork, lamb, wild boar, chicken to seafood. When you're in Brazil, you can try eating Moqueca, Barbequed Meat, Acarajé and Quindim. Brazil also offer world class education to students around the world; universities like Sao Paulo State University and Universidade Estadual de Campinas (Unicamp) are top choices many international students. China is famous for their Chowmein and Wontons. You can also taste their Dumplings, Gong Bao Chicken, Spring Rolls and Peiking Roasted Duck. China is becoming a popular study abroad destination for students due to its affordability factor. Students visit China to study medical, engineering and other technical courses from universities like China stands among the richest economies in the world yet China has maintained its tradition in its food, clothes, festivals and living. Agricultural University of Athens is one of the most sought after colleges for international students in Greece. Greece has a number of universities offering courses for international and local students. The food scenario in Greece is to die for. Greece offers some of the healthiest cuisines in the world and it's a must visit place for those students who prefer healthy food over junk. 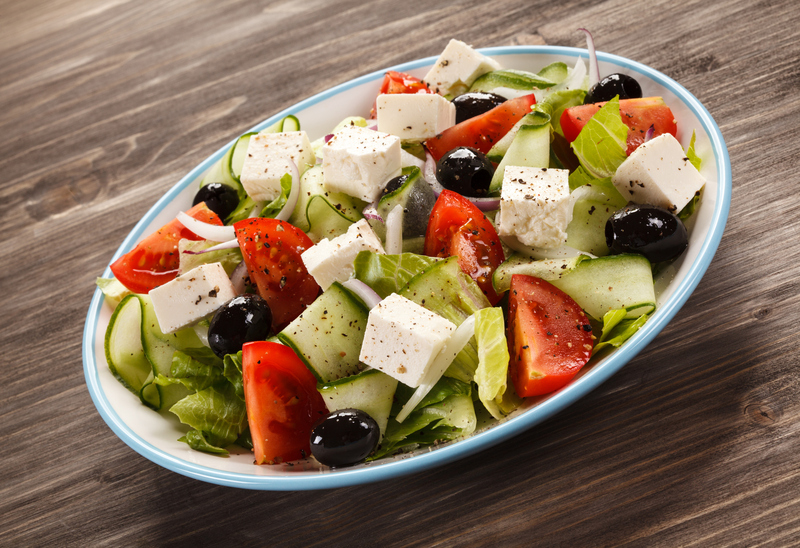 Some of the must try dishes in Greece are Greek Salad, Pasteli, Souvlaki and Dolmadakia. Mexican food is not just about "Tacos" but a lot of other unique dishes too like Aguachile, Bolillos, Curtido, Tortilla, Totopa and Yuca. As far as studying in Mexico is concerned, UNAM has secured the 122nd rank in world university rankings and is one of the most preferable college for North American candidates. Even if the country where you study is not in the list, you only need to do a bit of research and take suggestion from the local people about the best places to eat in your area. Having food together is a great way to bond with people. So the next time when you plan to go out and grab something to eat, remember to take your friends along for a hearty meal.